This latest Shenanigans collection (2003) is now getting "rave reviews" (as they say) at conference workshops. Fifteen action based songs for children on animal themes include Bellbird, Spider on the Wall, Fred the Flea, Eucalypso, At the Farm Zoo Party and a new look at Highway Number One and Koori Dreamtime. The album is co-written by Gary King and Tony Leonard (ex of Lightning Creek Band). The activities focus on developmental activities in rhythm and pitch; dance gesture and locomotion and dance making; playing untuned percussion, making and playing "little instruments". 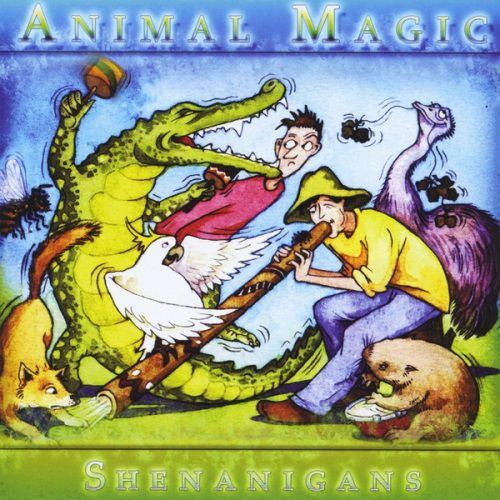 Founding member Gary King's opinion: "the best Shenanigans album ever".